Powered vs. Non-Powered Medical Carts: Which Option is Best for Your Clinic? Mobile medical carts are a valuable asset for today’s medical facilities, from hospitals to doctor’s offices. The ability to bring many necessary supplies and charting information to the patient’s location improves efficiency and patient care. With various options available on the market, how do you choose the right type of cart for your clinic? Both non-powered carts and powered carts have their advantages and disadvantages. Powered carts are swiftly becoming the standard due to the benefits they bring to both the provider and patient experience. However, some clinics still choose non-powered carts for their practice. Making the right decision starts with learning about these two forms of medical carts and how they stack up against each other. 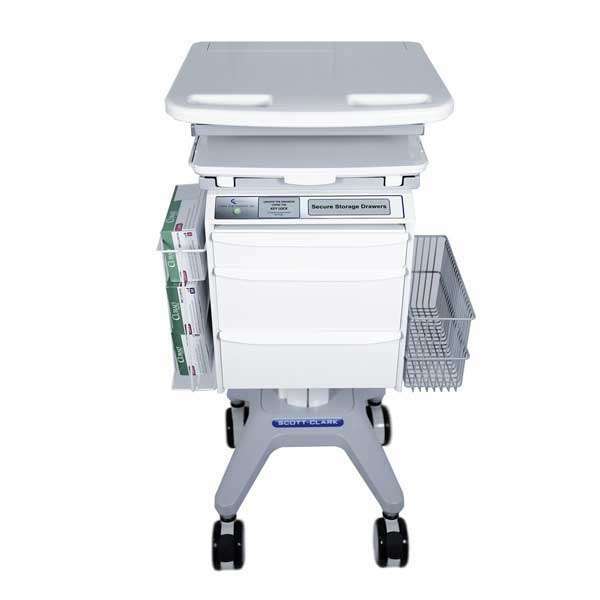 Non-powered medical carts operate as transportable workstations for healthcare workers in a variety of settings. They are built out of steel and other alloys to withstand heavy daily use. In the case of medication carts, protective security measures are included to keep medication out of unauthorized hands. Depending on your preferences, non-powered carts can be customized to include different amounts and types of drawers as well as organizational options, such as trays and shelves. Medical carts are designed to be easy to move and maneuver on the built-in wheels. Despite the lower costs of a non-powered cart, they are often insufficient. Many medical facilities that have used non-powered carts for many years are now upgrading to powered medical carts. The medication carts for sale on the market today are replacing non-powered carts due to the additional technological features and convenience that they offer the modern healthcare worker. Powered carts take the elements of non-powered carts and add many time-saving, useful features. 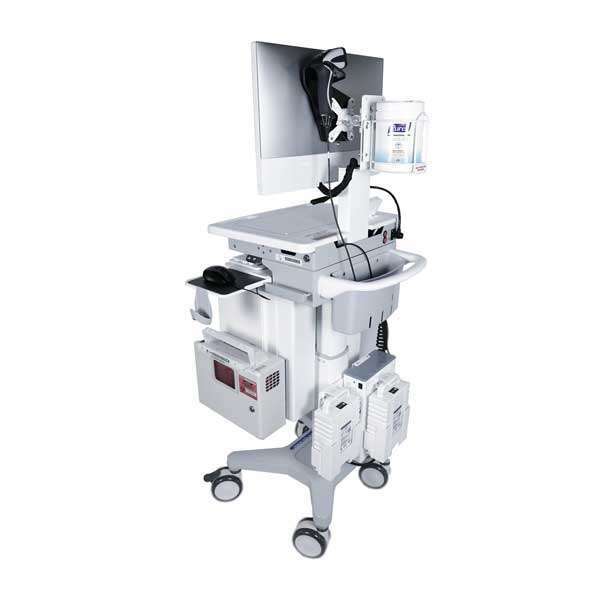 Powered carts allow you to bring a medical-grade laptop into each room of your clinic, saving space by eliminating the need for computer stations. While you could place a laptop on a non-powered cart, with powered carts, the technology is integrated into the cart itself. All the information you need at the point-of-care, including patient records and medication dispensing instructions, is right at your fingertips with a powered cart. Some powered carts have automatically locking drawers for security. Depending on the model and its specific features, some powered carts feature adjustable height controls. This allows for comfortable use by a diverse scope of healthcare workers. When deciding between the two options, several factors come into play, whether you only need one or two carts or you’re looking to outfit your entire clinic with portable stations. What needs are you trying to fill? Are your patient records paperless and do you need access to that database at the point-of-care? Is accessibility a concern? The cost for powered carts is higher than non-powered due to the added technology. Most come with a laptop or computer built-in, a highly useful feature for most modern practices. Powered medical carts run on batteries, which means that they will need to be recharged at some point, just like any other rechargeable battery-operated device. Those without power don’t need downtime. Only you can make the right decision for your medical facility when it comes to choosing between a powered or non-powered medical cart. Scott-Clark Medical provides an extensive range of highly customizable cart options to meet the requirements of any healthcare provider. Our medication carts for sale offer state-of-the-art technology to meet the demands of busy healthcare facilities.